You. Me. Ride This Crazy Train - Adventures and Observations on The GO: Shouldn't they be running? Aren't PSA ads like this supposed to be "punny"? These two look like they're out for a run. 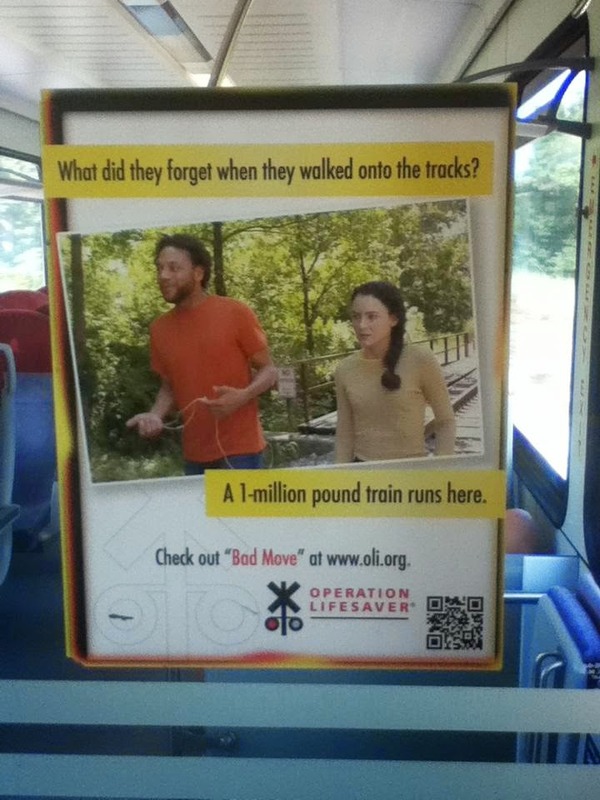 So if the train runs on a track, shouldn't the first sentence have the word run instead of walk? You know, like track and field? And how one runs on a track? This ad is making my OCD itch, but you know what I mean ... and then the second line (or the punch line) should read, "A 1-million pound train also runs here". And the girl looks mad. Maybe the guy ran out of gas and she's all like, "Worst date, EVER," and then there's the whole hit by a train thing.